I never gave much thought as to why I love that Raymond tune in the ad...never made the connection!! :) so what all do u listen to? Glad you liked this! Very few people hv such taste in music! Thanks Harsha...glad u liked this! 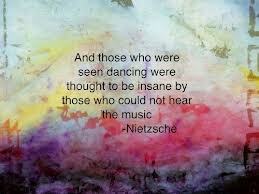 :) the beauty of classical music as u said is that it makes your heart dance! N you write beautifully, with a flow...straight from the heart! Especially love your poetic verses!